As I lay writing this from a hotel in Dusseldorf, nodding asleep & knackered! 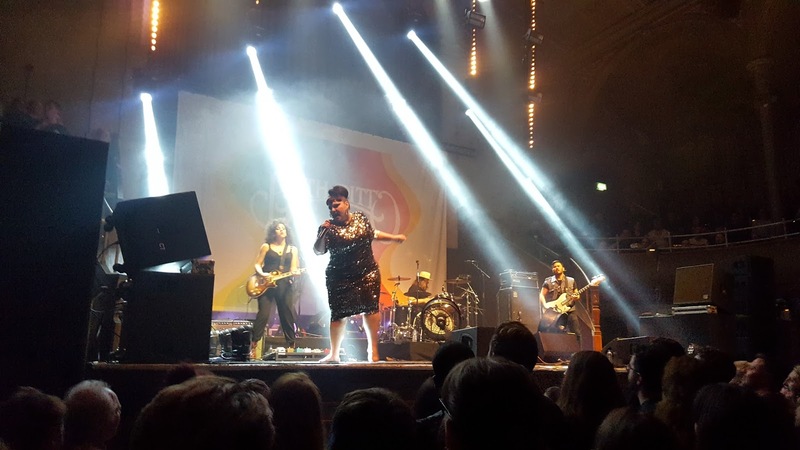 24 hours previous I'd be knocking back a tequila and 2 songs deep into Beth Ditto's solo set. 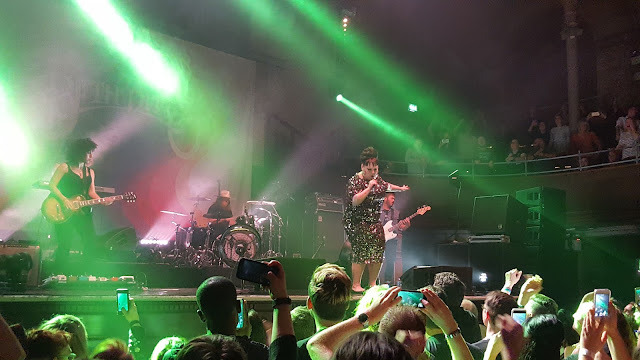 The end of her 6 week tour, in Albert Hall Manchester. 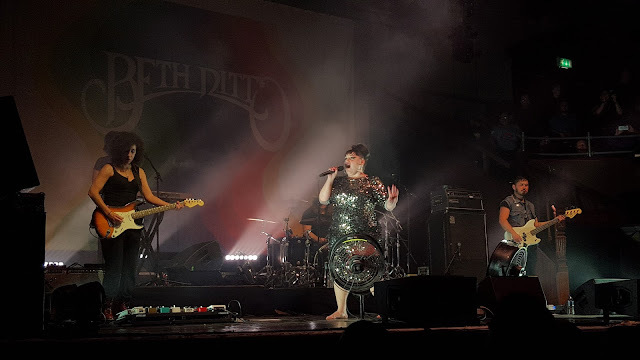 I certainly know why, despite being due up for a flight to Germany at 4am the next day to conduct a 2 day training course, I thought it would be a good idea to go see the one and only Beth Ditto, of Gossip fame. 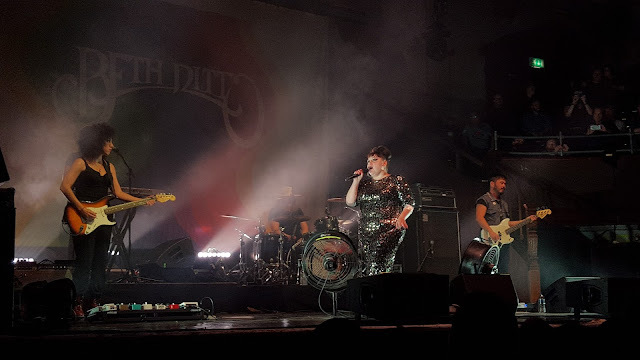 This has been the best show in a while at Albert Hall. And this month alone I saw both Placebo and Interpol, unfortunately those times they oversold and we were crammed in. 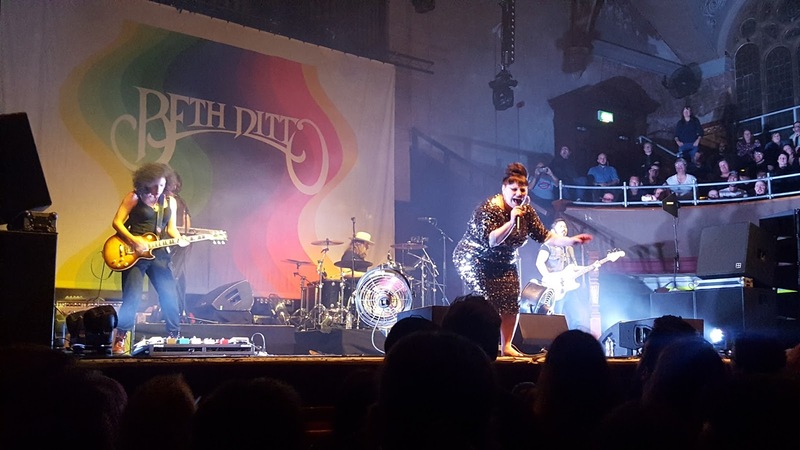 Beth Ditto, having moved the venue from Gorilla, was slightly less packed - and it made for a good gig. after her EP in 2011 we knew this album was going to be great! C'mon... I Wrote The Book, she wrote the whole damn library. Venturing away from the Punk/Post-punk sound shes moved into cross genres from Alt, Indie to Country. Love it, and that was very evident Beth was eager, and anxious, about the reception she would receive, and we did not disappoint... Beth must have said Thank You 100 times, but Thank You Beth! 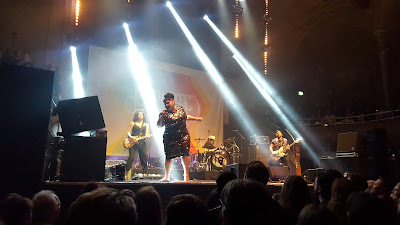 Starting off with Oh My God, much of the first half was Fake Sugar songs, with the early EP chucked in for good measure. You can't fault her vocals or the band, they we're spot on and perfect all the time. What makes Beth Ditto great is her audience interactions, a good 25% of the gig is the Beth Ditto talk show. From stories of anxiety after Gossip, to jokes about her 'English Family' in the VIP section. She spent so much time waving and reach out to people she knew, Instagrammers she'd spoken too. 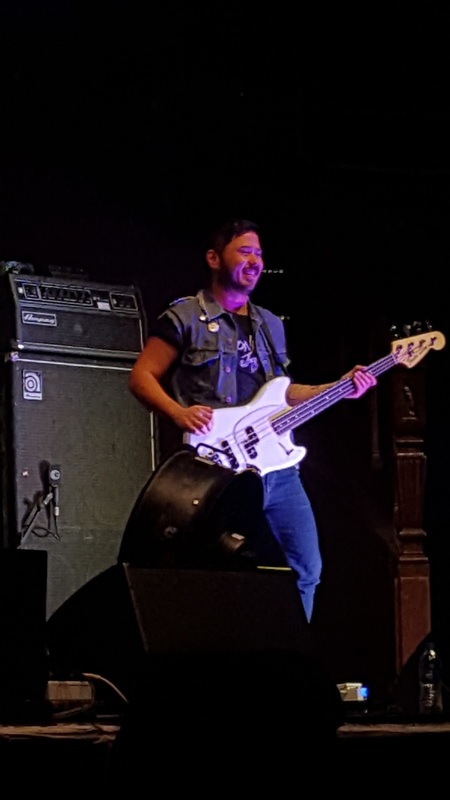 This was the first time in a long time I'd seen someone for the crowd more than themselves. 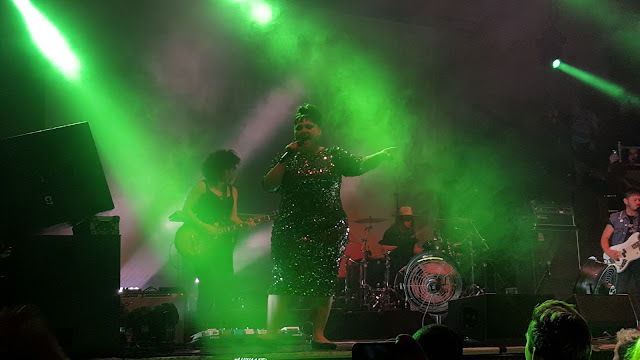 The only thing lacking was her ability to literally get into the crowd and sing with us, sweat with us, and full on go crazy. But that was the venue and it was not a deal breaker, we still got classic barefoot Beth! Moving away from her solo song such as Oh La La and In and Out we were treated to some Gossip classics, which needless to say tore the house down... Love Long Distance, Heavy Cross.. and in the encore Standing In The Way of Control - the defining song for Beth/Gossip for me, well they all are but that's so punk it's awesome. We also got treated to A Little Respect and a rendition of We Are The Champions too which was good! 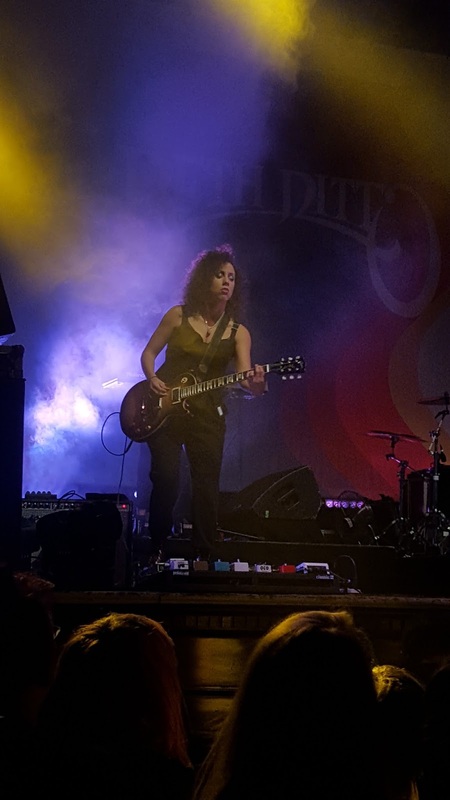 Shout out to her band who were all amazing too. Overall best in a long time, and to be seen again and again.